Andrew is using Smore newsletters to spread the word online. Bill Gates was born October 28, 1955 in Seattle Washington. Making him 59 years old. Bill Gates grew up in an upper-class family with two sisters. One older sister, Kristianne and one younger sister, Libby. Their father William H. Gates Sr. was a promising, if somewhat shy, law students when he met his wife, Mary Maxwell. She was an athletic, outgoing student at the University of Washington, actively involved in student and leadership. Gates began to show an interest for computer programming at age 13 at the Lakeside School. He pursued his passion though college. Striking out on his own with his friend and business partner Paul Allen, Gates found himself at the right place at the right time. Through technological innovation, keen business strategy and aggressive business tactics, he built the worlds largest software business, Microsoft. 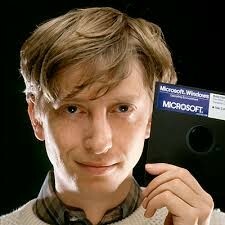 Bill Gates graduated from Lake Side in 1973. He scored 1590 out of 1600 on the college SAT test, a feat. of intellectual achievement that for several years he boasted about when introducing himself to new people. Gates enrolled at Harvard University in the fall, originally thinking of a career in law. Gates also remained in contact with Pail Allen, whom after attending Washington State University for two years, dropped out and moved to Boston, Massachusetts, to work for Honeywell. In the summer of 1974, Gates joined Allen at Honeywell. During this time, Allen showed Gates an edition of Popular Electronics magazine featuring an article on the Altair 8800 mini-computer kit. Both boys were fascinated with the possibilities that this computer could create in the world of personal computing. Gates and Allen both offered their services to this company. 10 years later, Microsoft released its first true attempt at a graphical user interface, Windows 1. Development was lead by Bill Gates. Two years later, Windows 2 was released in December 1987. 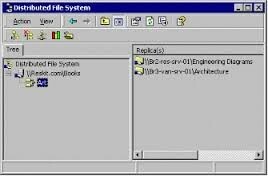 The big innovation for Windows 2 was that windows could overlap each other, and it also introduced the ability to minimize or maximize windows instead of iconising and zooming. Windows 1 and Windows 2 were not very successful, however they did not stop there. It was not until Windows 3 and Windows 3.1 that Windows began to gain popularity. Windows 3 introduced the ability to run MS-DOS programs in windows. The next Windows release, Windows 95, was perhaps the biggest release of Windows yet. It was the first Windows version to use the well known Start Menu. It was launched with a huge advertising campaign that used Rolling Stones' Start Me Up, and a couple of months later Friends' stars Jennifer Aniston and Matthew Perry. Following Windows 95, there were 10 more Windows versions released between back then and today. Including Windows 8, which was the first Windows version to not feature the Start Menu Windows 95 introduced. Instead, it featured a Start Screen. Windows 8.1 would reintroduce a Start Button, which brings up the Start Screen. Microsoft today is now not only limited to just computer software. Microsoft had spread to gaming devices such as the Xbox One running on the newer Windows 8 and Microsoft cloud. 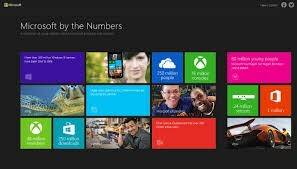 Mobile phones with new mobile software using live tiles and other such things as tablets and laptops. All new devices introduce Windows 8 software and are paving the way for the along waited Windows 10, introducing a combination of the beloved Windows 7 and the newer modern and "user friendly" Windows 8. Thanks to the inspiration of Gate's wife Melinda, Gates took on other roles besides just running Microsoft. Gates took an interest in philanthropic work. 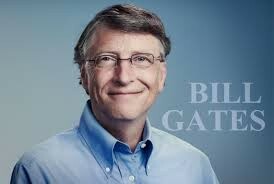 In 1994, Gates and his wife established the William H. Gates Foundation which was dedicated to supporting education, world health, and investment in low-income communities. 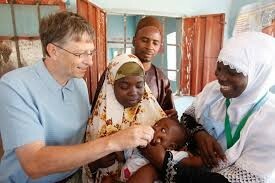 In 2000, the couple combined several family foundations to form the Bill and Melinda Gates Foundation. They donated $28 billion dollars in order to start this foundation. 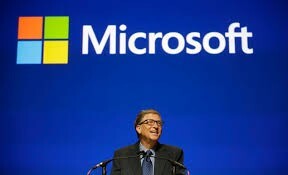 Bill Gates soon stepped down from the day-to-day operations of Microsoft in 2000, turning over the job of CEO to college friend Steve Ballmer who had been at Microsoft since 1980. Over the next few years, his involvement with the Bill and Melinda Gates Foundation occupied much of his time and even more of his interest. In 2006, Gates announced he was transitioning himself from full-time work at Microsoft, to devote more quality time to the Foundation. His last full day at Microsoft was June 27, 2008. In February 2014, Gates announced that he would be stepping down as chairman of Microsoft in order to move into a new position as technology adviser. In addition, it was also reported that Microsoft CEO Steve Ballmer would be replaced by Satya Nadella, the current CEO of Microsoft. Gibbs, Samuel, ed. "From Windows 1 to Windows 10: 29 Years of Windows Evolution." The Guardian. Guardian News and Media Limited, 2 Oct. 2014. Web. 22 Mar. 2015. "Bill Gates Biography." Bio.com. A&E Networks Television, n.d. Web. 22 Mar. 2015. "Microsoft - History of a Computing Giant." About.com Inventors. Ed. Mary Bellis. About.com, n.d. Web. 22 Mar. 2015.